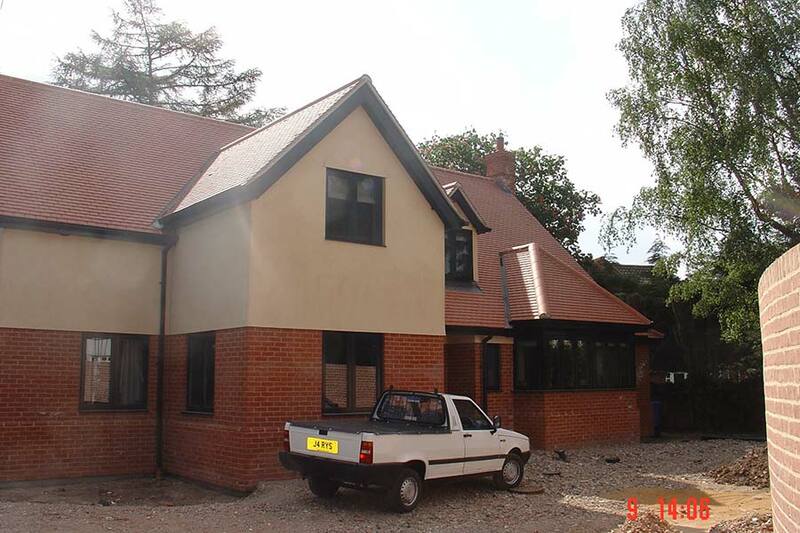 Built in Norwich, this house was constructed by Barber Building Services from foundations to completion. The foundations where piled and incorporated a reinforced concrete slab. 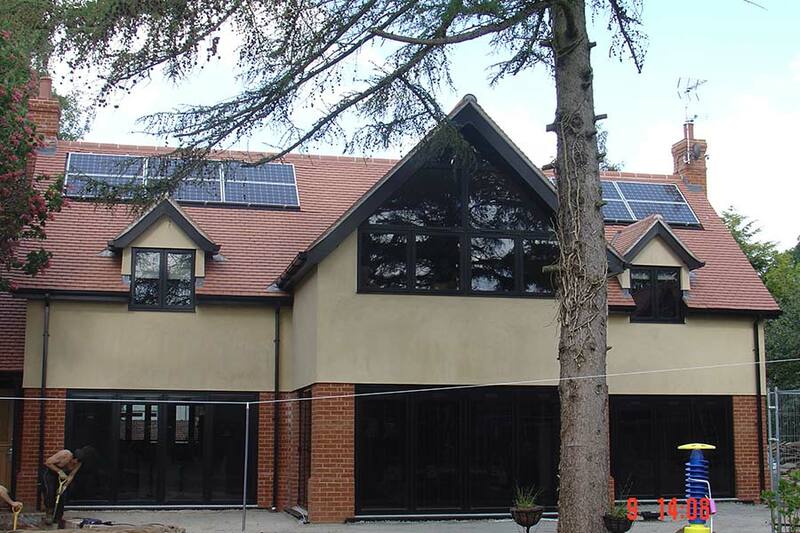 This property included environmental technology such as a ground source heat pump for the heating and hot water and photo voltaic panels for electricity. The design of the house ensured some traditional methods were adopted during construction. Lime mortar for the masonry works, hand cut roofing due to the complex roof lines and internal vaulted ceilings. 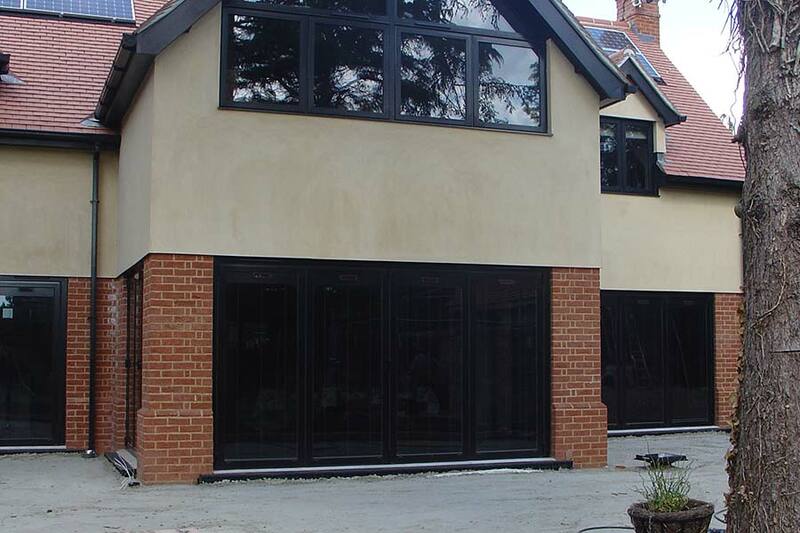 Detailing such as aluminium windows, bifold doors with electric intergrated blinds, oak doors and staircase, underfloor heating throughout and integrated technology. 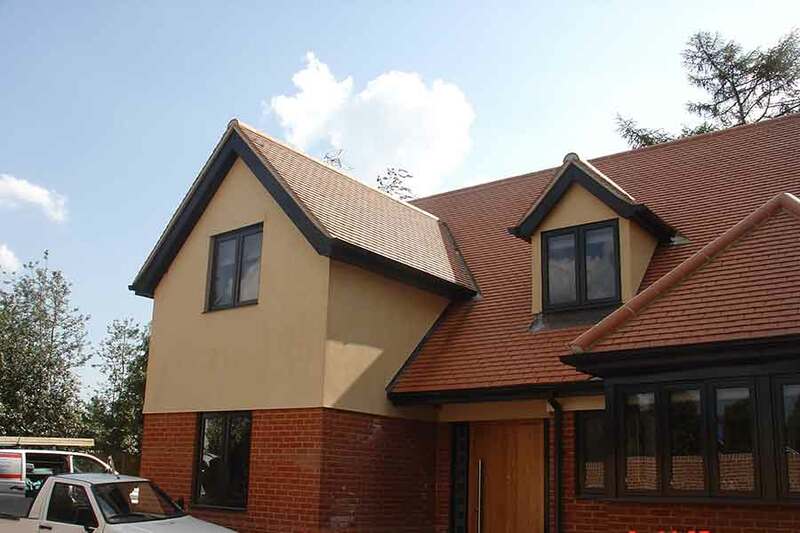 The property was completed in accordance with the NHBC requirements and was built with a 10 year warranty. Careful detailing was used througout the construction process. 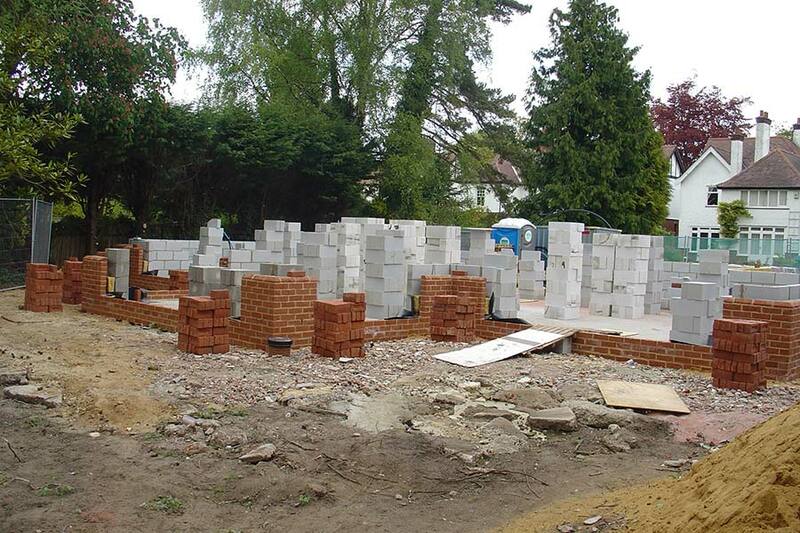 New five bedroom house following completed groundworks and masonry works commenced. 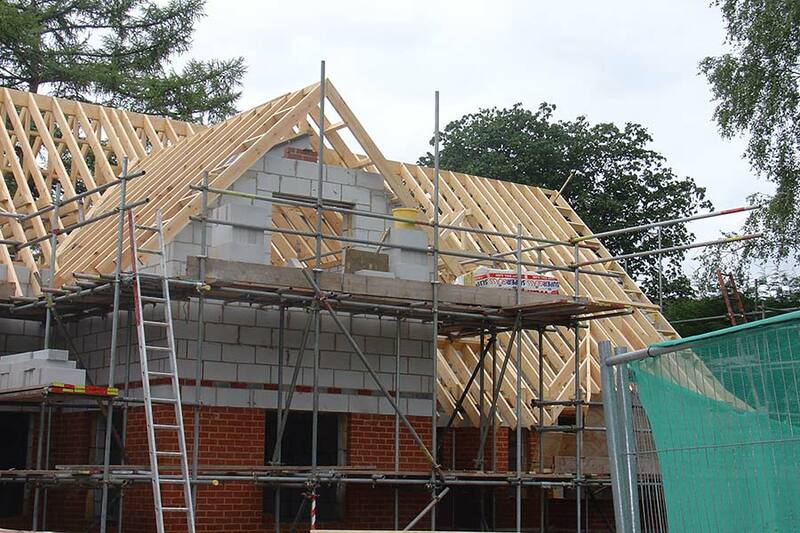 New build house with roof being installed. Renewable energy was used for the heating and electrcity supply for the house. 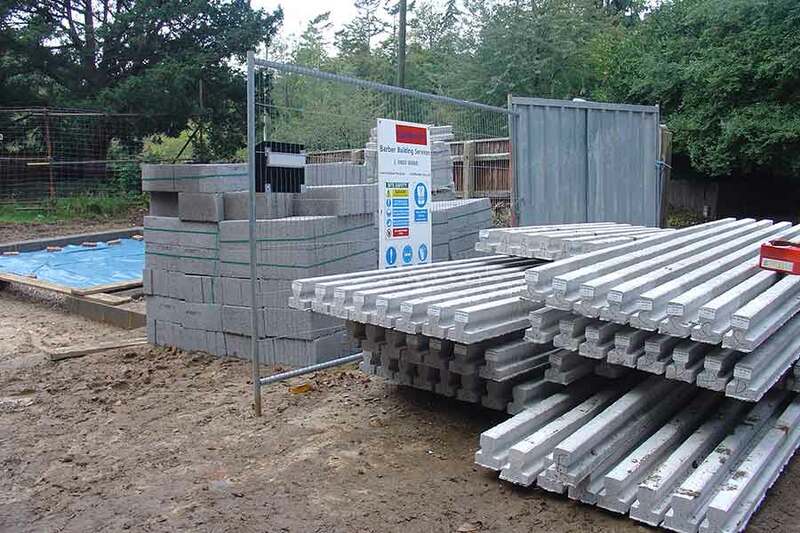 The concrete floor will be constructed using a pot and beam system. The house was built from Piled foundations and reinforced concrete slab. The rear of the house was compete with aluminum bifolding doors to open up to the main garden areas. 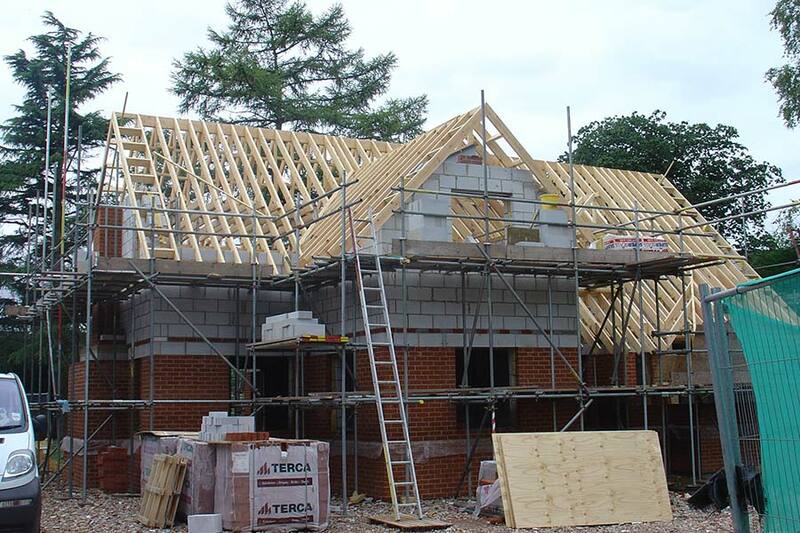 The roof is installed ready for covering. 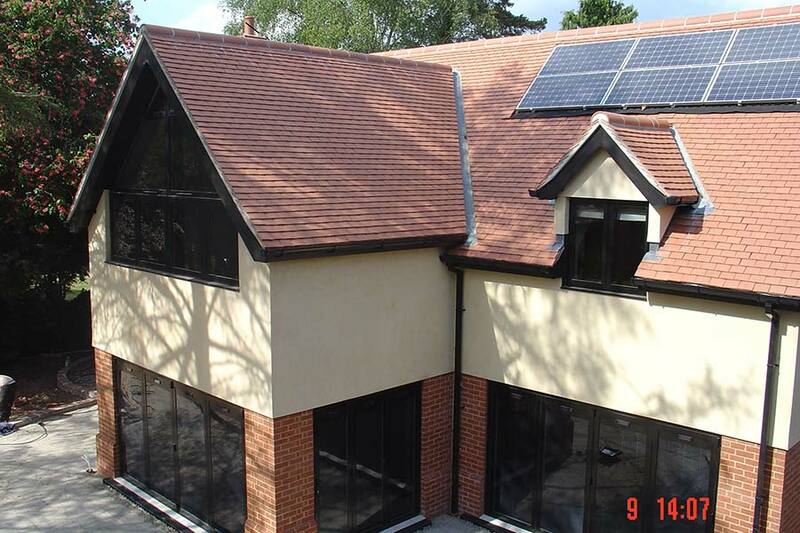 This bespoke new build house is complete.